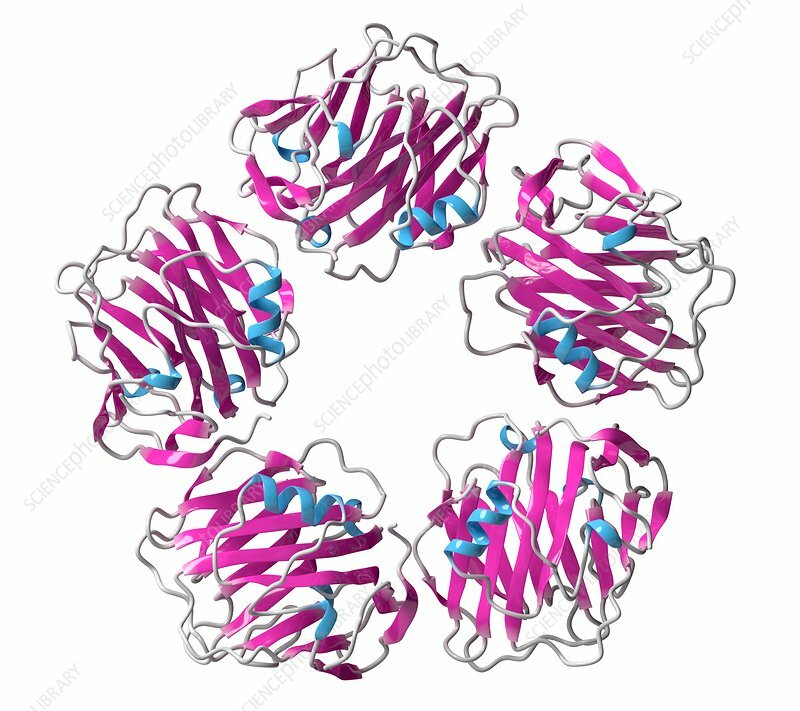 C-reactive protein (CRP, human) inflammation biomarker protein. Infections and inflammation cause increased blood levels of this protein. Cartoon model, secondary structure colouring (helices blue, sheets pink).